Many doctors called her "The White Tornado" for her power, might and ability to perform miracles in the delivery room, and to improve the quality of patient care. The community called her "Mother Teresa Of Louisville," for her Saintliness, dedication and devotion. The newspaper called her "The Great Grandmother of Louisville," because she blessed over 57,000 babies and helped strengthen the family bond. To me she was an "Angel," sent from heaven above, who made all the difference in my life. 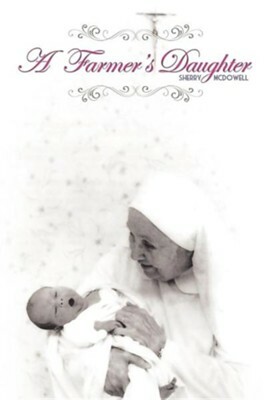 _ This book is a tribute to Sister Alwinia Heinemann. It is written so that others may know her greatness. The Archdiocese Of Louisville says that she may one day be canonized as a Saint which can't happen until after she has been dead for a hundred years. I hope this book will keep her memory alive. She only wanted others to know Gods love. Sherry McDowell is someone you will want to meet. She started life premature in the lineage of St Clair. She was raised to value the power of love and the beauty of a closeness with God. She oozes southern charm from her roots in Louisville, Kentucky. She has mingled with the famous but she finds the little animals and regular people most special. She is in touch with the spirit world, has witnessed miracles and has seen God first hand. She will entertain you, soothe you, give you hope and touch your inner soul. She wants people of faith to unite to conquer evil. I'm the author/artist and I want to review A Farmer's Daughter.